Today’s world of policing is radically different from when I started as a Police Officer 30 years ago. 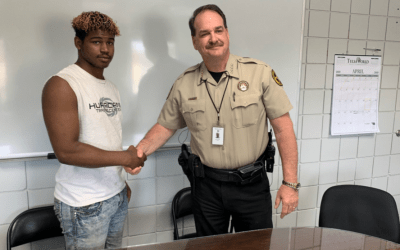 Technology such as cell phones, ATM cameras, body cameras and the internet has given society an insatiable appetite for video news and that “gotcha” moment when an interaction occurs between cops and citizens. Add to this the extreme de-emphasis on enforcing laws involving narcotic abuse and criminal behavior, society is at a boiling point. We have an uptick in violent crime and attacks on police officers throughout this world. So too are property crimes. For several reasons, we are feeling this uptick: We have released from jail what some naïve politicians and legislators call “low level” offenders, we have de-criminalized drugs and other public offenses and we are neglecting helping those in our communities who truly need help, not a jail cell. Here is the shift from the last three decades, society now wants its police professionals to be a silent guard, only an observer. How dare a Police Officer stop and question someone who “might be up to something” or use deadly force to stop a criminal from hurting a fellow human being or offer a hot meal to someone in need? This is where a compassionate but firm police force is absolutely needed, yet society is often too quick to cast judgement on the actions taken in split seconds by men and women brave enough to wear that badge. This said, public criticism of justifiable actions taken by law enforcement professionals should be expected since the police must be accountable to the public they serve. So too should the members of our communities be held accountable for their actions. 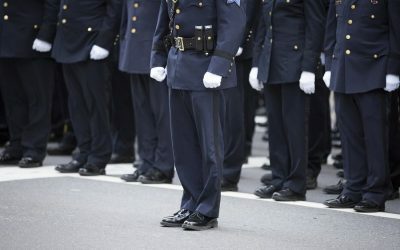 This “open season” on police officers sickens and angers me, but we must educate the public, the politicians and our fellow cops that we have the absolute right to do our jobs. Back in the day, I could stop someone as long as I had probable cause, could articulate my lawful actions in report, maintained a command presence and treated everyone fairly. I could do my job without fear of retribution from the public or the Department. Today, one picture, Instagram, snapchat, etc, etc makes the evening news showing an officer using their weapon, but the photo did not show the sheer terror from one minute prior to the contact with a suspect who was yelling at the cop while raising a weapon. The officer today has to be a phycologist, social worker, karate expert, faith healer and gunfighter all rolled into one. Thus, the “bs” behind the badge will always be there, but know that if you do the right thing for the right reasons, a good cop will always win. 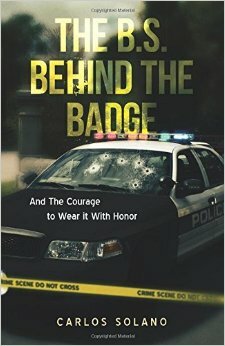 “The BS behind the badge and the courage to wear it with Honor” is now available on amazon.com in paperback and Kindle. After earning his college degree, Carlos Solano started his Law Enforcement career in 1984 as a Glendale Police Officer and received his foundational training through the Los Angeles County Sheriff’s Department. Then in 1987, he joined the California Department of Justice/Bureau of Narcotic Enforcement (Ca DOJ) as a Special Agent. He was assigned to the southern California region conducting investigations into the major narcotics trafficker. His assignments ranged from undercover operations to surveillance work, drafting search warrants, arrest warrants, testifying in court and arresting violent career criminals. 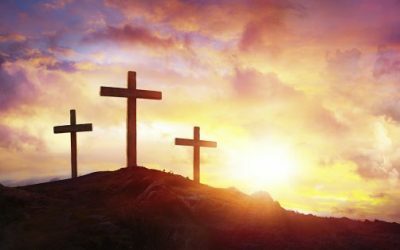 He was a firearms/tactical operations instructor for the California Department of Justice and a member of the Ca DOJ’s Instructor cadre for the Special Agent Academy. He promoted thru the ranks, first as a Special Agent Supervisor then achieved the rank of Special Agent in Charge. He was tasked with the oversight of a statewide Division of Ca.DOJ, where he received the Attorney General’s Award in 2005 for Excellence in Management. Next he was assigned to the Los Angeles Regional Office where he managed programs and teams as directed by the Ca. Attorney General, such as the Joint Terrorism Task Force and the Major Crimes Team. Upon his retirement, he was recognized by the California Senate with a resolution honoring him for his superior record of accomplishment and law enforcement service. Now as consultant and after retiring from CA. DOJ, Mr. Solano authored a book “The BS Behind the Badge and the courage to wear it with Honor”, (website-bsbehindthebadge.com) This book defends the law enforcement profession and gives a valuable insight into the world of policing, based on his in depth, real life experiences as a front line officer, investigator and as a leader. The book is available at Amazon.com in paperback and kindle versions.